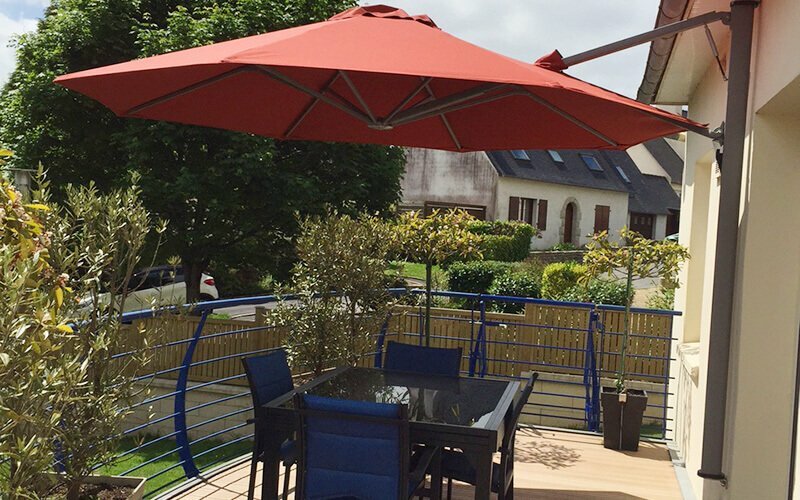 In some situations, it’s not desirable or even impossible to anchor a parasol in your terrace. This might be solved by using a mobile parasol base, but this often turns out to be a clumsy solution. 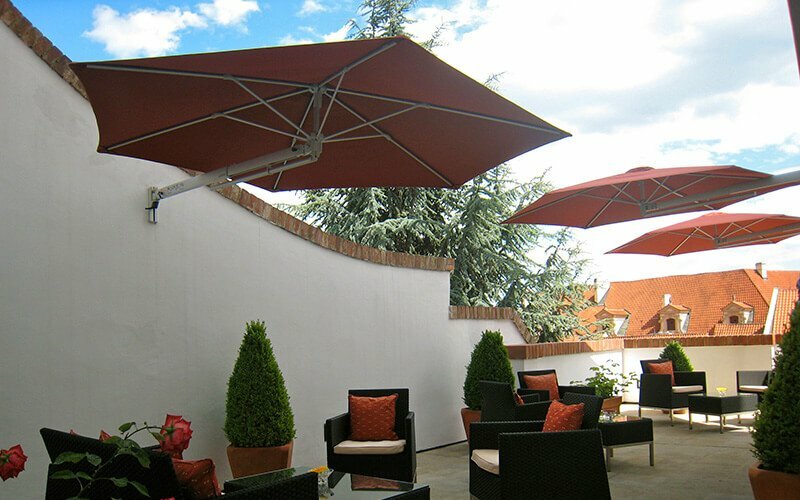 If you want to use every inch of your terrace or balcony, Solero wall parasols make a great first choice. 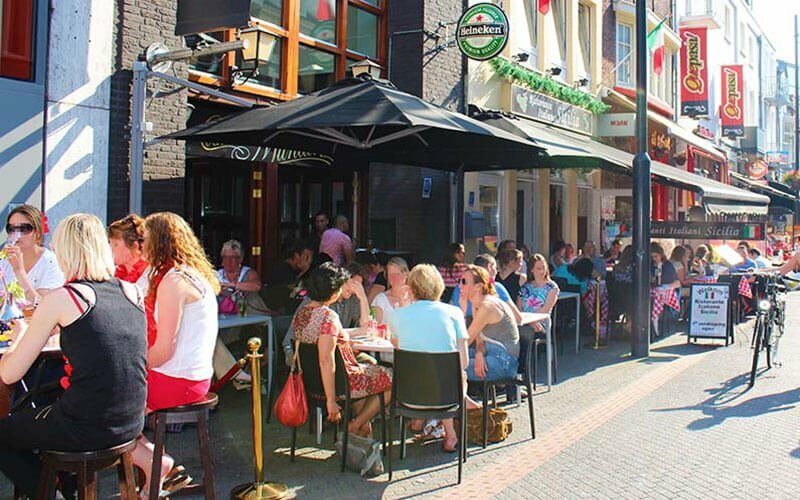 Using the compact Solero wall parasols, you will have a lot of shade in a small area, saving you a lot of space. 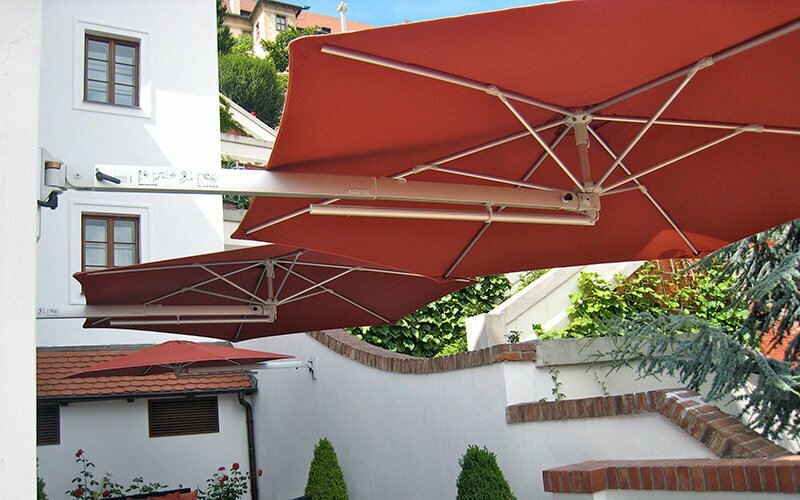 The smallest wall parasol we offer, the Solero Prostor P4, has a diameter of 270 centimeters. The mounting bracket that comes with it reach only 25 centimeters in height. This means it can be installed on almost every location – your mobile home, your fence, your guest house or a rear façade. As you can easily tilt and swivel the P4, you can easily move the shade to where you want it. Do you need more shelter? 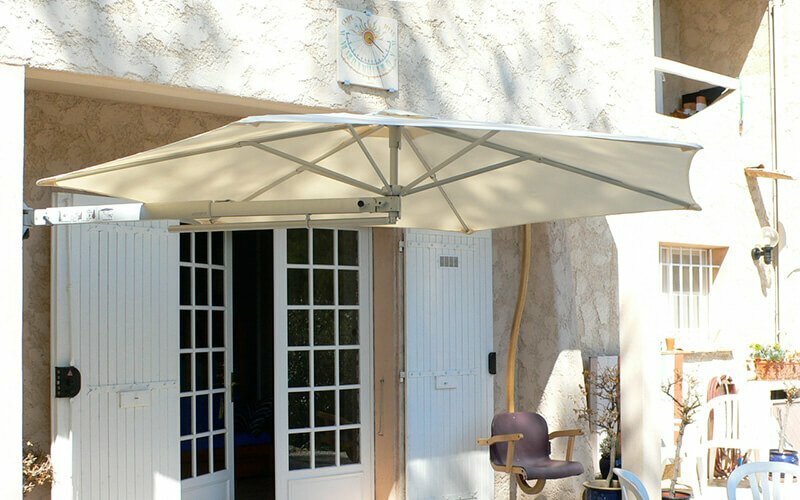 The Solero Prostor P7 wall parasol is a great solution. This parasol comes in three different cloth sizes: square (250cm*250cm and 300*300cm), or the round 350cm version. The P7 parasol pole will be mounted on the upper or lower side of the façade. The mounting brackets are fully revolving, making sure you can decide where you want the shade to be. A Solero attached to your wall? As a third great option we offer the Solero Prostor P6 (Uno and Duo). 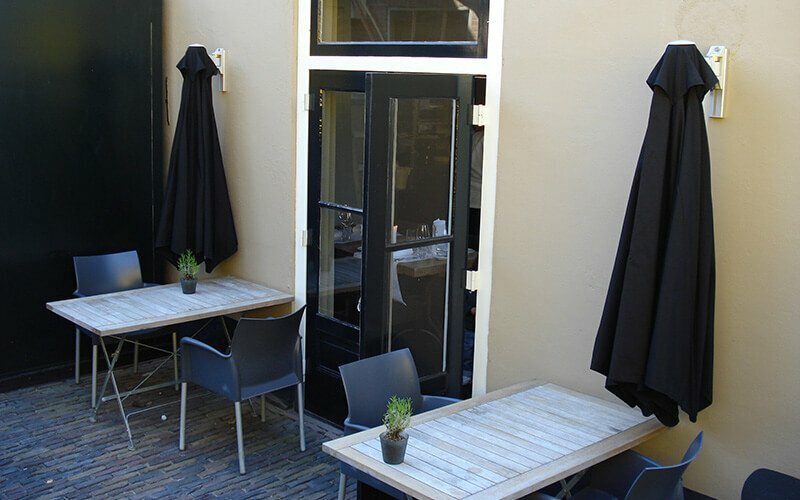 Although these square wall parasols cannot turn, they can be attached to each other. 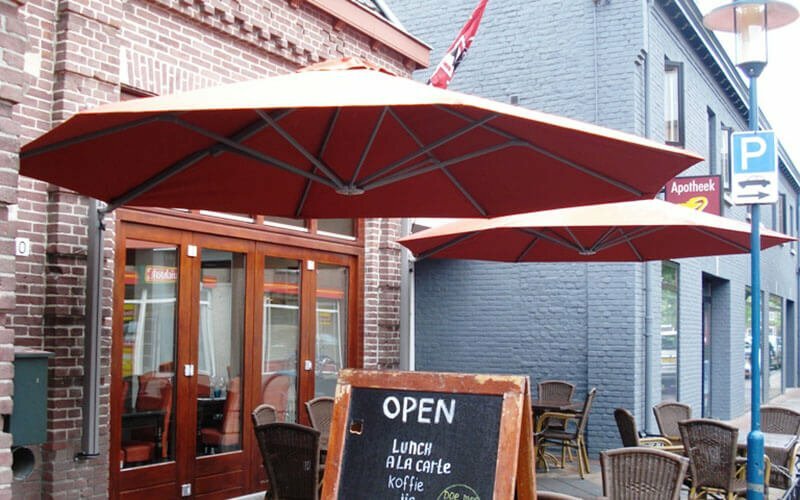 By connecting the parasols (250 or 300cm) by zipping them together with the detachable gutters, you get a sunshade with incredible width! This wall parasol is often purchased instead of a sunshade, as the latter often is a heavy burden on the wall. This doesn’t apply to our wall parasols, as the weight is distributed over the entire pole. Because of this, they are perfectly suited to install on a home extension, veranda or historical building. We hope that this text and the images on the product pages leave no questions unanswered. Solero wall parasols offer countless possibilities, and can be delivered in many colorful fade and water resistant tones. Are you looking for a special wall parasol? Feel free to contact us!